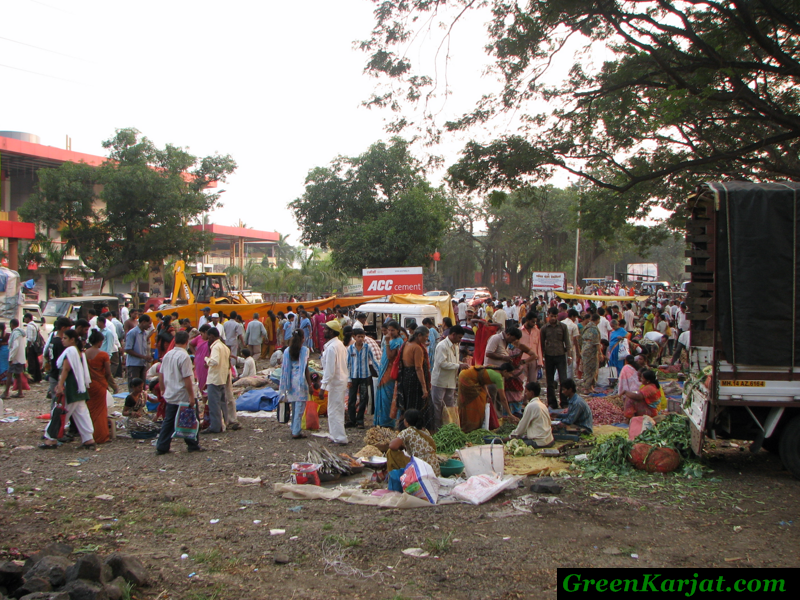 Every Saturday, Karjat hosts a vegetable market just after crossing the bridge on the left hand side located opposite the colourful marriage hall. The chance of getting a good deal here not only attracts truck loads of people from the villages, but also farm owners and urban dwellers who come to Karjat for a relaxing weekend. 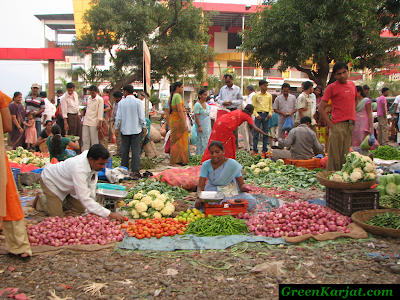 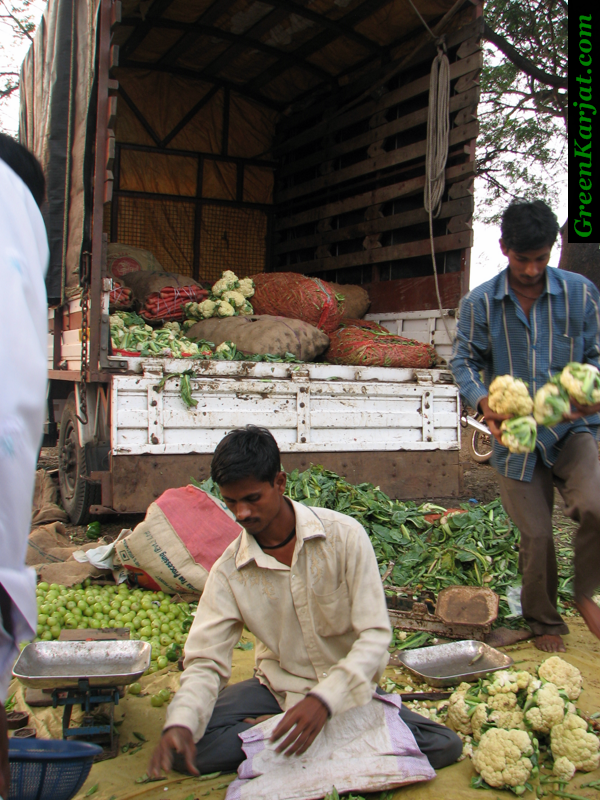 The produce is grown by farmers between Karjat and Pune and Nashik as well. They slowly come in the morning and sell their vegetables till sunset, but by evening most of the leafy vegetables are sold out. While some vendors bring in their tempos full of goods, others come with sacks full of produce to sell through the day. With the amount they bring in you can imagine the amount of people flocking to buy their supplies. Add to that the amount of vendors required to sell their wares and you have a full fledged bazaar on Saturday. The price of course is less than the usual market price, and the price in the bazaar itself varies from vendor to vendor so do check a couple of vendors prior to purchase. 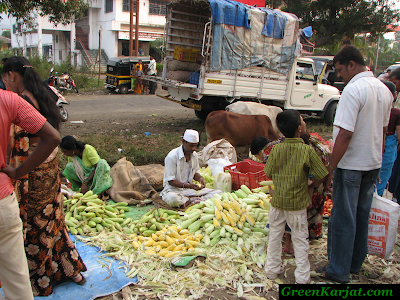 We bought quite a few vegetables including some that are not to be found on a daily basis in Karjat, like Zucchini and Sweet Corn. 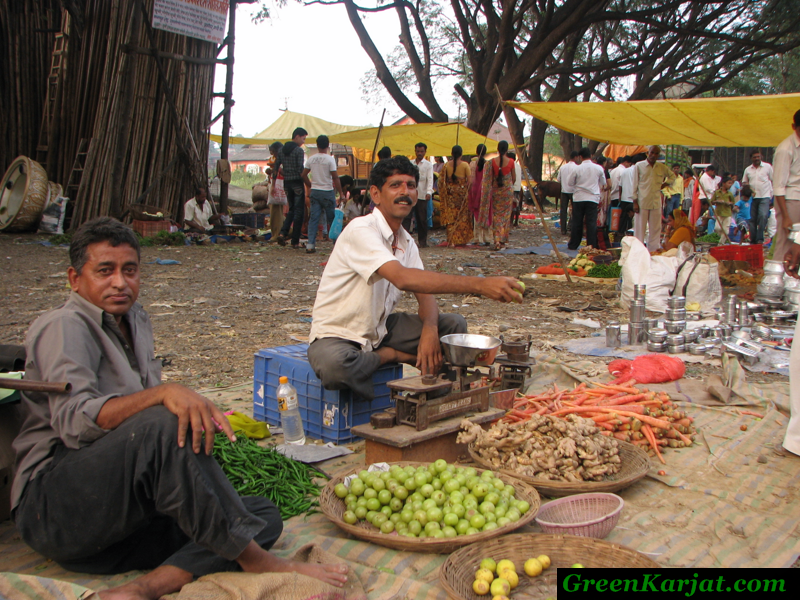 Apart from vegetables, you have a Gola Wala or Kulfi Wala helping the crowd keep cool. 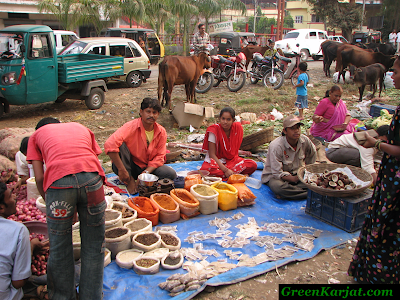 Its not usually to find vendors selling masalas and spices in the market as well. 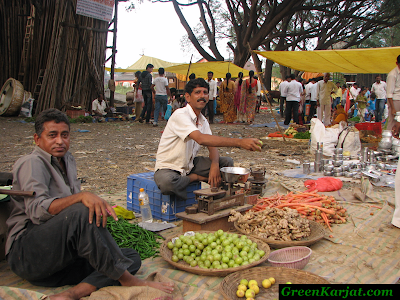 Seeing the popularity of the Bazaar, more vendors are beginning to put their wares on display. 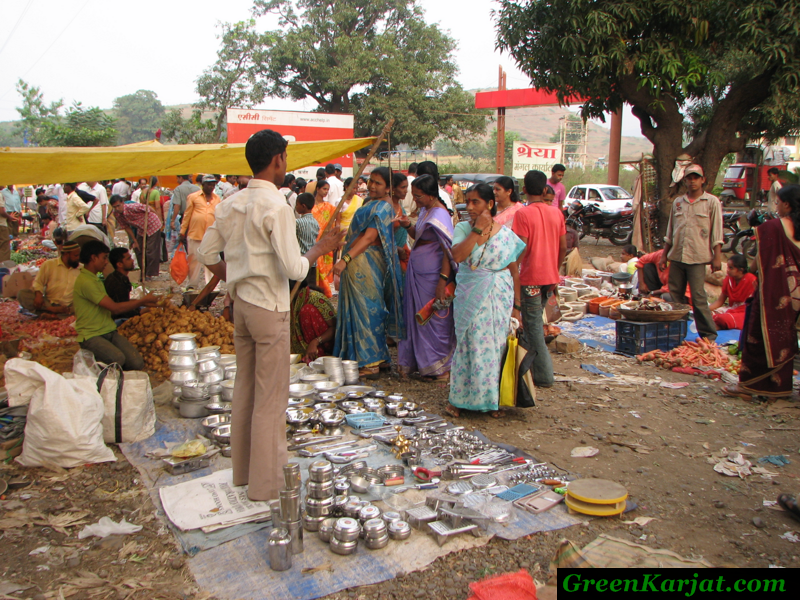 Like the steel vendor below, who seems to be bargaining with a customer. 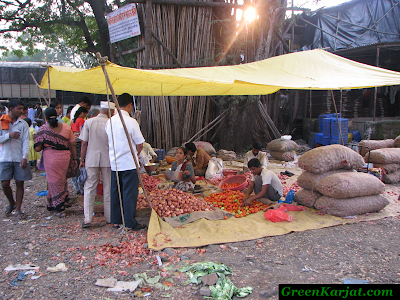 A good time to visit the bazaar would be around noon when all the vegetables are just brought in and you have a lot of variety, or in the evening if your looking for discounts on the usual veggies.